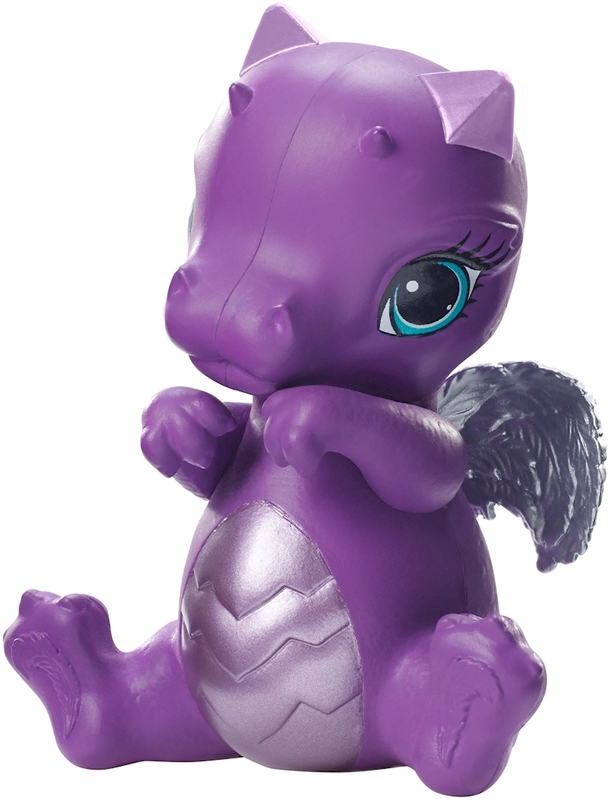 Join the Dragon Games with the Ever After High™ baby dragons! In their most epic adventure yet, the teenage sons and daughters of the most famous fairytales ever see the return of dragons to Ever After High™ -- and the return of the most amazing sport ever after, Dragon Games! The festivities start with the birth of these extremely cute baby dragons. Each figure features bobble wings that bobble when the dragon is moved up and down! The pet dragon of Raven Queen™, daughter of the Evil Queen of Snow White, is wicked cool with purple coloring and body designs inspired by its owner’s style and legacy. Collect all of the Ever After High™ baby dragons for a full flight and fairytale fun (each sold separately, subject to availability). Includes baby dragon with bobble wings. Colors and decorations may vary. Features: Join the Dragon Games with the Ever After High™ dragon babies! Each features bobble wings that bobble when the dragon is moved up and down! Choose from the pet dragons of Raven Queen™, Holly O’Hair™ and Darling Charming™. 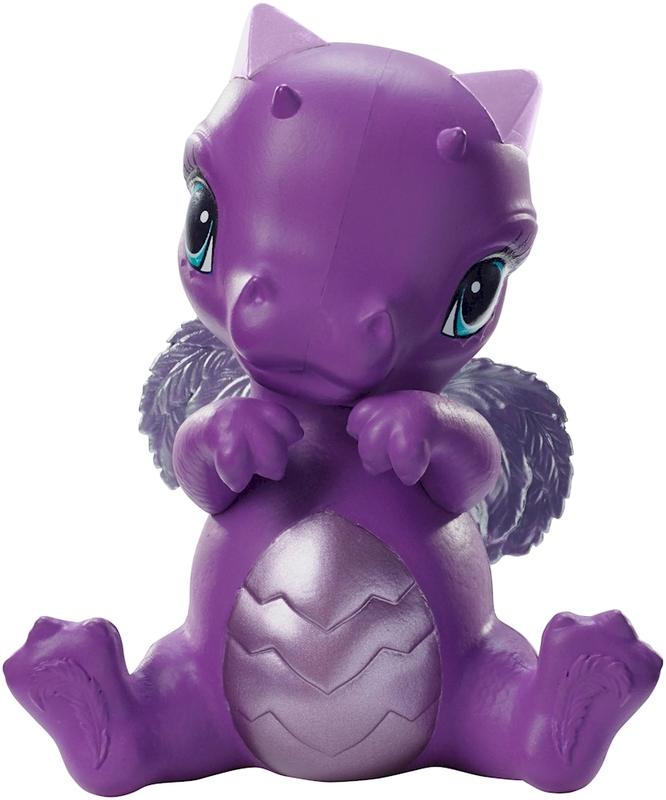 The pet of Raven Queen™, this adorable baby dragon features purple coloring and body designs inspired by the daughter of the Evil Queen from Snow White. Collect all of the Ever After High™ baby dragons for a full flight of dragons (each sold separately, subject to availability; colors and decorations may vary). EVER AFTER HIGH and all associated trademarks and trade dress are owned by Mattel. © 2015 Mattel. All Rights Reserved.